B-java: Back to your coffee! Yes, we are open today. 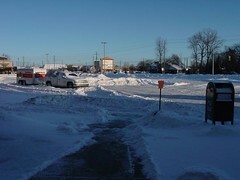 Apparently, the snow removal folks didn't think we would be! So if you hit the streets, come on over and warm up at Bjava! Fresh Hot coffee, great hot chocolate and yummy beef vegetable soup.